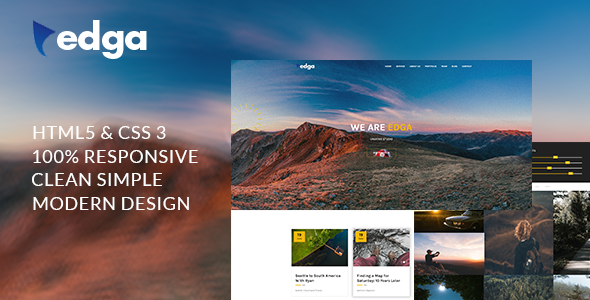 Edga – Onepage Creative HTML Template is a modern and elegant One Page HTML template. It has a fully responsive with adjusts automatically to any resolution. Edga – Onepage Creative HTML Template is very easy to set up and customize and comes with a well documented help file, which will assist you configure the template in minutes.